Two years ago today an earthquake lasting only 35 seconds nearly destroyed the nation of Haiti. Two years ago today, at 4:53 pm an earthquake lasting just over half a minute devastated Port-au-Prince, killing at least a quarter million, injuring hundreds of thousands more, and leaving, still two years later, more than half a million homeless in and around the Haitian capital. Two years after the earthquake a cholera epidemic has sickened more than half a million people and killed as many as 7 thousand. It’s not a pretty picture. There’s nothing pretty about Port-au-Prince. And as an outsider, now home from Haiti since last spring, clearly, I know nothing about the real suffering of the Haitian people. I know nothing of a mother housing a family of ten children in a tent the size of some middle class American closets, nothing of another mother trying to quiet a baby crying in the dark, while torrential rain turns the ground beneath her tiny tarp to liquid mud. How can I, a privileged white woman from a wealthy nation, speak of Haitian pain with any real authority? And what I saw—every 35 seconds—was a city in ruin. I saw the weary and sometimes teary eyes of human beings too stunned to grieve even these colossal losses. Two years after the earthquake only half of the billions of dollars pledged to the Haiti reconstruction effort have been delivered. Two years after the earthquake rebuilding slows and sometimes stops because of conflicts regarding land tenure and issues of civil and political unrest. 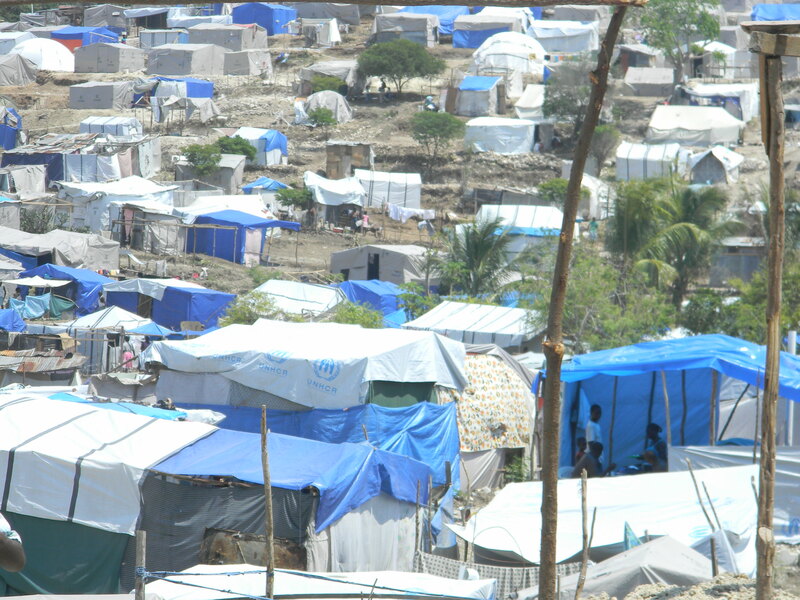 Two years after the earthquake cholera still sickens 200 Haitians a day. Every 35 seconds more are infected. Every 35 seconds children are left hungry and homeless. Many die needless deaths. Having been home from Haiti for a number of months now, I miss it more than ever—don’t seem able to get the place out of my stuck-in-middle-America mind. I wrote a while back that leaving Port-au-Prince felt like an amputation—that Haiti was the phantom limb, the one I dream about, the one that calls to me at night. And I’m saddened that it took a mere 35 seconds to nearly destroy a city I hold so dear. 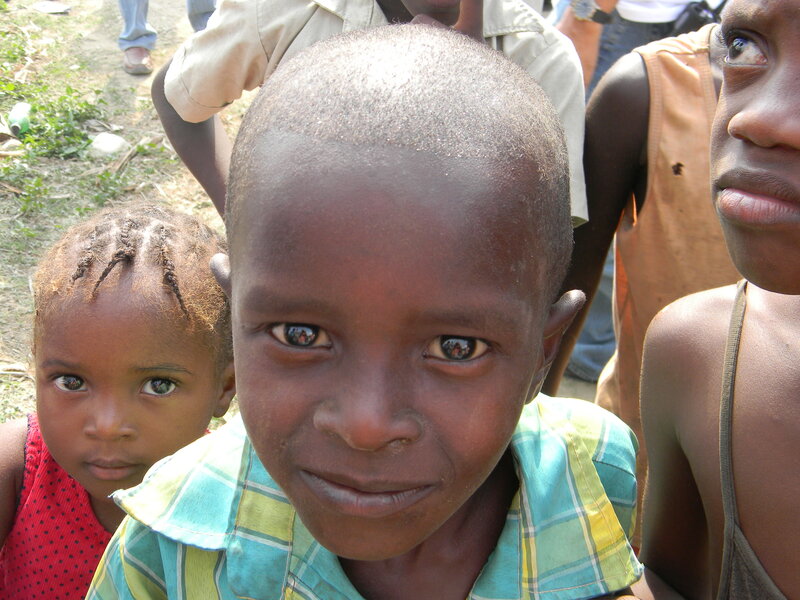 So today, two years after the earthquake, I will take 35 seconds to pray for Haiti. Will you take half a minute of your own time and pray for the poorest country in the Western hemisphere? Will you pray for peace in the mountains that circle Port-au-Prince this morning? 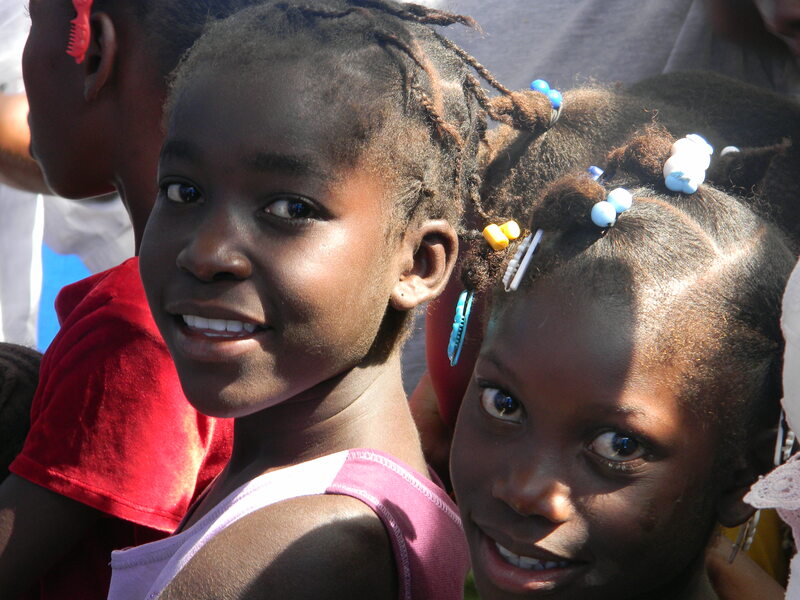 Will you take 35 seconds and pray for grace in Haiti? And this evening when it rains or snows near your home, remember the Haitian mother, holding her baby in a make-shift tent—barely a tarp over a mud slick floor. And rather than merely being thankful that you are warm and dry tonight, please take 35 seconds and donate to the ongoing reconstruction effort. Donate even 35 cents a day, so that one mother, father, child won’t need to endure the rain—the damp dark that soaks the soul of a person. It’s up to you, at least in part. Will morning in America mean breakfast for Haiti? 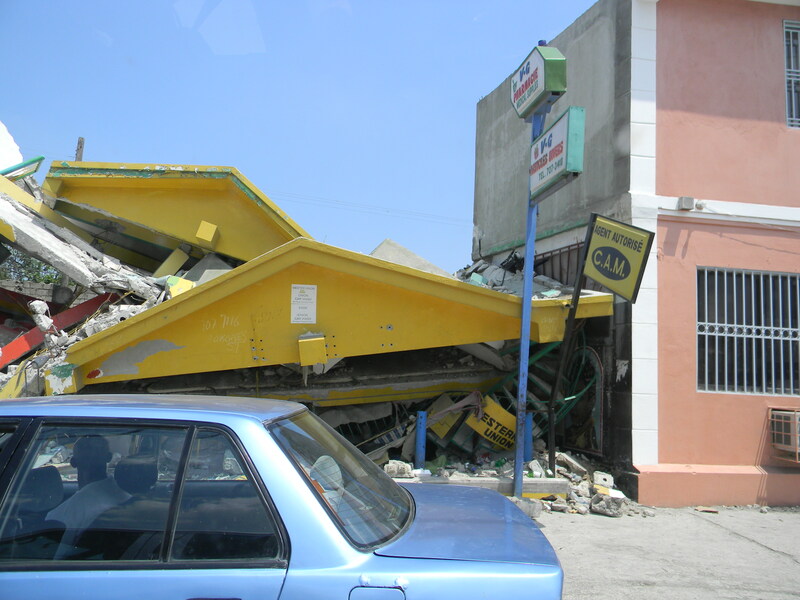 This entry was posted in cholera, disaster, Haiti, Homelessness, humor, international development, NGO, travel and tagged cholera, disaster response, Habitat for Humanity, Haiti, Haiti earthquake, Haiti earthquake anniversary, homelessness, humanitarian aid, life, Port-au-Prince, postaweek2012. Bookmark the permalink. Kathy, what a powerful and necessary reminder of an event that has been dimmed in our conciousness by a political campaign, a faltering economy, other world events, and the everyday stuff of life. Thank you for this. You are so, so welcome, Renee. I appreciate your taking the time to read and share in this remembrance. Gosh, you are so, so welcome, my friend. 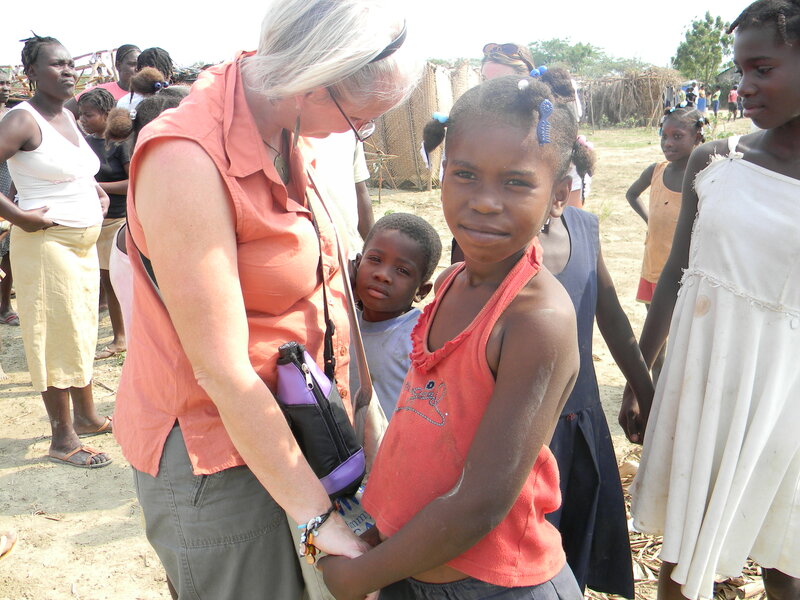 Hugs to you and all of our Haitian friends still living in camps. I love the idea of praying for 35 seconds for Haiti. If only we could have poured all of this money and love into Haiti before the earthquake, then maybe it would not have been so vulnerable two years ago. Wow, you said that correctly. If only we had. And if only what we did focus on Haiti before the earthquake would have been meant to improve the lives of Haitians, rather than strengthen US foreign policy objectives in the region. Kathy, this is a beautiful, powerful reminder that just because the news trucks leave doesn’t mean that everything is healed. I am praying and praying those beggy prayers this morning for Haiti. Thanks for sharing. 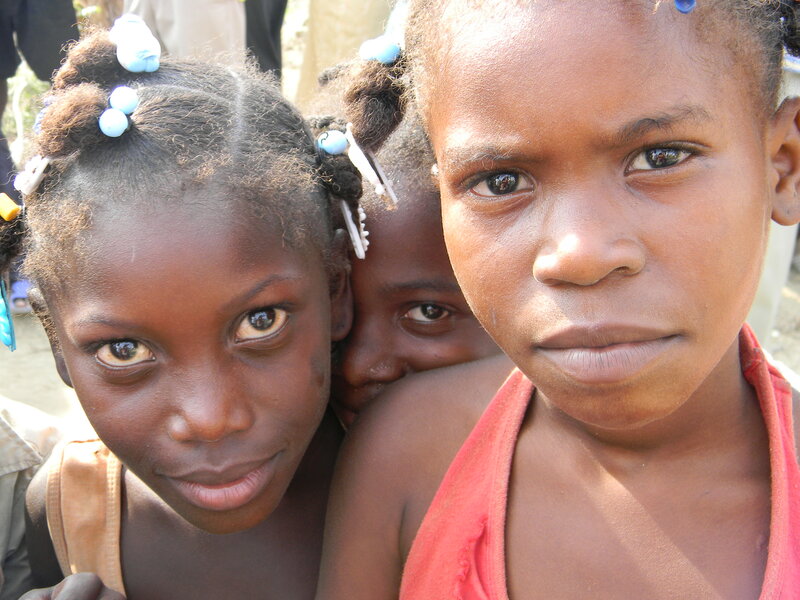 I thought of Haiti, as well as you and Sara, this morning when I realized it was the anniversary of the earthquake. Powerful post, Kathy. Thanks so much for reading, Robin. And thanks for reading way back at the beginning of my blog, when we were still living there! So beautiful and appropriate on this day, the second anniversary of the earthquake that changed the lives of so many. 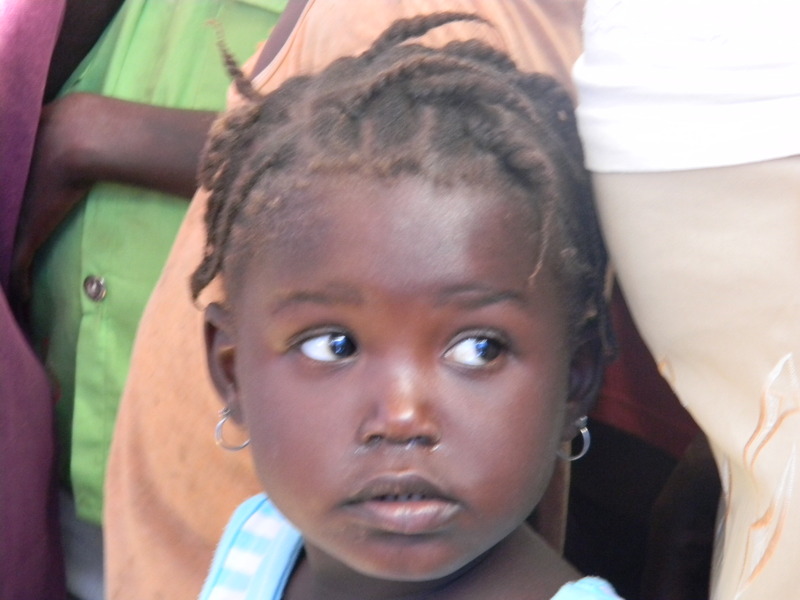 Great post, brilliant reminder of the devastation that is ongoing for Haitians. Great post, Kathy. We’ve shared it on Facebook and Twitter. You wrote a great commemoration. Thanks so much, Jen. I truly appreciate that. I’m pleased this post spoke you all of you at World Moms’ Blog. This is such a powerful post Kathy that it brought tears to my eyes. The desperation of the people is heart wrenching and it is so tragic that not much has changed even two years later. Do you think that Sara and you will have an opportunity to go back? It sounds like so much more work needs to be done. Will changes be made to how the funds are distributed so that more money actually ends up helping the people who need it most there? What about all the tent communities? These are such great quesions, Nicole, and the answers are complicated, since Haiti is such a difficult place for many organizations to work–the cost alone of working there is astronomical–not to mention the security issues. All that to say, that no one really knows for sure, if they are being honest; and if they do think they know, they are likely deluded. So much of the money doesn’t get to the people who need it, because, for example, the cost of living there is outrageous. Renting a single house can cost $7000 a month. Rents have sky-rocketed since the earhquake. The camps are slowly but surely beginning to “empty.” Yes, there are still 550,000 folks living in them in PAP, but last year at this time, there were 1.5 million–so there is progress being made in that regard. I certainly hope to go back. But I don’t know when or under what circumstances. Thanks for these great questions! Tears are all I’ve got. Those beautiful, brown faces are just heartbreaking. I understand, dear Sista! I understand! Hugs to you! I am at a loss for words except to say that yes, yes I will. I will pray for 35 seconds and I will do it again, and again. Thank you for opening my eyes. Thanks so much, MJ! And my friends in Haiti thank you, as well. I can’t tell you how much I appreciate your reading and taking the time to leave this sweet comment. Thanks, MJ. I appreciate your reading, and my friends in Haiti do, as well. Have a great weekend, my friend! What is most sad… is so little has really been accomplished …the international community as always moves on to the next drive-by disaster forgetting those who are still in need. Indeed. It is sad. I’m so sad about Haiti, I can hardly stand it, Charles. It is so sad that we have become numb to this tragedy and that recovery efforts are slowed. I will pray. Thanks, Terri. For so many Haitians it’s really a matter of life and death. Have a great weekend, my friend. Hard to believe it’s been two years already. And for that matter, coming up on a year since the tsunami in Japan. This is a beautiful post; it’s nice to be reminded that half a minute can change lives…for the worse, but also for the better. I’m glad this post spoke to you, Mark. I know. It is hard to believe–about Japan, as well. Isn’t it amazing how few seconds it can take? I love your heart, Dana. I’m happy you will be remembering Haiti along with me and so many others. Thanks for the prayers! I watched ABC News tonight. Possibly they could have bumped the story about fashion models weighing 23% less today than they did in the 90s and reported an update on what happened to the billions that were donated to Haiti two years ago after tragedy struck? But, Haiti is old news and most viewers are interested in any story about weight, so ABC went in the crowd pleaser direction. Actually, I’m appalled that this wasn’t covered on the evening news. I assumed this would be everywhere. Guess that shows you how out of touch with fashion models I am, right? I think it has more to say about how the news industry is out of touch with real news. Probably true–but so damn sad! You may speak without that particular authority, but you do it with incredible compassion. It’s amazing how much of a connection you feel to Haiti given the security you were under and so on. I suspect it’s a true testament to Haitians. Thanks also for providing an organization to donate to, as it is sometimes difficult to know where to best direct your money. I tend to think Haiti affects people strongly–for good or bad. Some don’t want to go back, for the reasons you’ve outlined, but many more care deeply and bond strongly with their Haitian friends. Habitat for Humanity is a great organization. I know. Believe me, I know! I can’t believe it is 2 years since this horror happened. I hope those poor people will eventually have better lives. It’s crazy how time flies. Cliched but true. Have a great weekend, Deb. Thousands of haitians have entered in Brazil through boundaries of Bolivia and Peru in last 3 years. Authorities have alowed but it isn’t manage easy because healthy conditions and work opportunities. I hope that Brazil can help them to grow and rebuild their country with new foundations. It’s great to hear from you. I had no idea so many Haitians ended up in Brazil. That’s fascinating. I, too, hope Brazil can help. In the meantime, I appreciate your taking the time to read and comment. Hope you’ll come back again soon! I sit here, eating my lunch and thinking of your poignant words. It is only a sandwich, but I’m sure that to many people in Haiti it would mean so much. Thank you for this gentle reminder that those of us who are more fortunate in basic necessities should be grateful for what we have and share with those who don’t. Great point, Jackie. If only more of us were willing to share. It’s amazing, as well, what a simple sandwich can remind us of. Have a great weekend, my friend! Tender and powerful – simultaneously – and we can no longer pretend we don’t know. The eyes of those children seem to reach right out of the monitor. A million thanks for sharing your first hand experience with those of us who could never know what the damage was and still is without people like you to put it into words. This is a beautiful sad haunting lovely post. Yes, I will pray, and I will dig in my pocketbook. I will never–ever–please God–forget that there is suffering on this planet. May our hearts be big enough to embrace hurt, death, starvation, illness. May our hearts keep opening and opening. Thank you, Kathy, always. OK, I donated a little, perhaps will have more to give after returning home. Haiti, thanks you, my friend! We thank you. Like I said–huge heart you have, Kathy!